NOTICE IS HEREBY GIVEN that the Town is undertaking a revaluation project for property taxation purposes. All properties located within the corporate limits of the Town will be included in this revaluation. This RFP is issued according to the regulations of the Town. Preparation of Proposals by any prospective bidder is made at bidder’s expense. All Proposals must be presented on the “Town of Fenwick Island Reassessment Project Cost Proposal” form, which is included in the RFP for Appraisal Services packet. Acceptance of any Proposal is made at the sole discretion of the Town. Please be advised that the Town may award all, part, or none of the proposed scope of work to one, to multiple, or to no bidder at the Town’s sole discretion. All accepted Proposals will be evaluated on four criterions consisting of: (1) Qualifications of the Bidder, (2) Technical Proposal Content, (3) Quality of Service, and (4) Price. 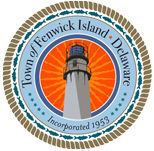 Sealed Proposals for the Town of Fenwick Island, FY2019-20 Assessment Services Project, will be received by the Town Manager of Fenwick Island until 2:00 pm., prevailing time, Friday, November 30, 2018, at the Fenwick Island Town Hall, 800 Coastal Highway, Fenwick Island, DE 19944 at which time they will be opened, read, and recorded. No Proposal may be withdrawn after the scheduled time for the receipt of Proposals for a period of sixty (60) days. The Town of Fenwick Island reserves the right to reject any or all Proposals and to waive any or all informalities in any Proposal or Proposals.